The human brain is structurally divided into various lobes and each these lobes are connected to different fingers of our hands. In the UCMAS program children are trained on using both hands with different fingers on the abacus, which stimulates the lobes of the brain by increasing neuron interconnectivity and hence establishing a balance between them. The finger movement on physical abacus stimulates the nerves connected to the neural system, which in turn activates these various lobes. These are the frontal lobe, the parietal lobe, the occipital lobe and the temporal lobe. 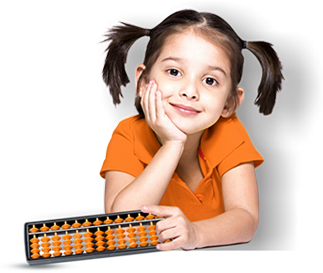 The usage of abacus with the two-hand technique enhances the working of the brain more efficiently resulting in structural development with physical abacus.